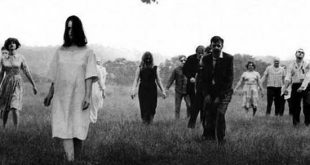 Night Of The Living Dead (1968) was the cult movie that launched the directing career of George A. Romero. 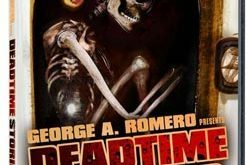 But unlike, for example, John Carpenter and George Lucas, who started small but moved into big-budget productions, Romero has continued to work – with his Pittsburgh-based production company – on the low-budget fringes of so-called respectable film-making. This may have been a good thing, creatively. It has meant that he could continue to set his stories in those silent-majority areas of life, neglected by most filmmakers, in which he seems to be most at home. After Night Of The Living Dead, George’s next fantasy was surprisingly low-key. Jack’s Wife aka Season Of The Witch aka Hungry Wives (1972) is a kitchen-sink drama about a dissatisfied middle-aged woman (excellently played by Jan White) whose life has become oppressively suburban, and her husband is something of a lout. Seeking some sort of outlet for her femaleness, she decides half-jokingly to take up witchcraft. The world of tatty occultism which she then enters is not really endorsed by George as containing genuinely magical elements, but the possibility remains. This is a passionately feminist film (which may surprise fans who only know George through his zombie stories), quite affecting in its evocation of the ways in which a rather inarticulate woman can be imprisoned by her social context. But its best moments are not those dealing with the dreary details of suburban angst, but those dealing with hallucinations of violence that reappear throughout the film, ending in a scene of genuine violence. Even when George moves away from the film noir, it is the dark motifs he evokes best. The satire is a bit heavy-handed, and the one possibly fantastic manifestation (a cat) will be a severe disappointment to anybody expecting to find George in bloody supernatural form. Those with less specific expectations may find it a modestly original little movie well worth watching. The Crazies (1973) was back in zombieland, only this time the murderous creatures are still alive, though transformed into homicidal maniacs by the effects of a secret biological weapon that has been accidentally released. First we see the local townspeople murdering one another, and then our sympathies given a sudden twist when we see the army stepping in, rather brutally, to contain the plague. 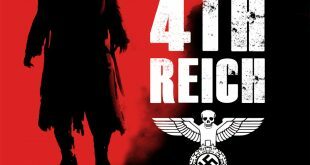 The film focuses on the efforts of a small group of survivors (some of whom may be infected) to evade the military patrols. There are good moments that result from the unpredictable effects of the bacteria – the madness is sometimes rather sweetly harmless. The sweetest of all, however, is a little old lady sitting in an armchair knitting who, with a contemplative smile, skewers a visiting soldier through the belly with a knitting needle without even dropping a stitch. The theme of innocent people suffering a ghastly apocalypse is well carried out, but formulaic. 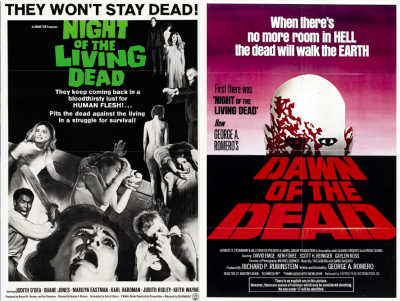 It is not as good as Night Of The Living Dead on the same subject. Which finally brings me to the subject at hand. 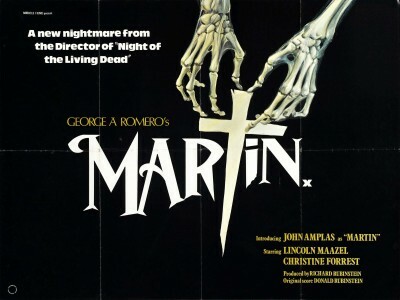 Martin (1976) was a stronger and more adventurous film, the first since Night Of The Living Dead to suggest George might really deserve a place as an American auteur of the first rank. 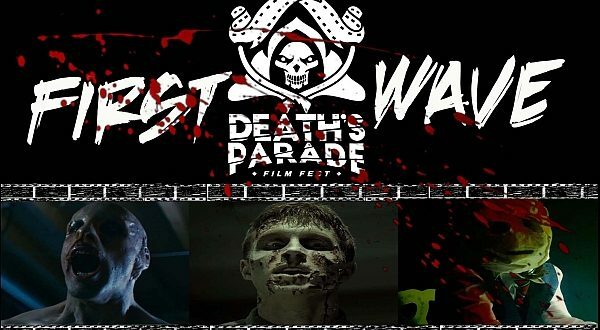 It begins with a conventional but extremely vivid horror sequence of a teenage boy in a train attacking a woman in a sleeping compartment, drugging her, then cutting her arm to drink her blood. 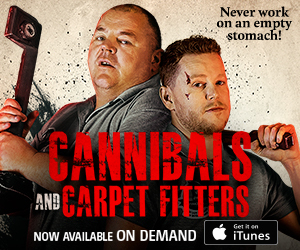 It looks, in short, like the nastiest kind of sadistic exploitation movie, but it does not continue that way. 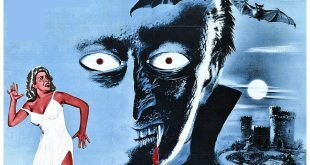 Martin (John Amplas), who is obviously mentally ill, is believed by his elderly Rumanian cousin to have inherited the family curse – vampirism. 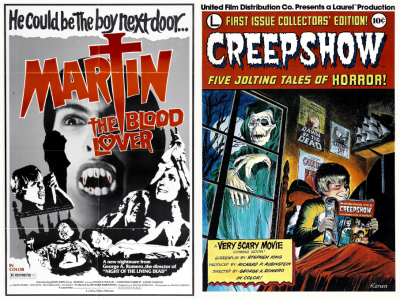 Martin half-believes this himself, and occasionally has hallucinations (black-and-white sequences in an otherwise colour film) in which he envisages his vampiric behaviour romantically, very much in the style of old B-grade movies. These are in stark contrast to the rather seedy surroundings of the grimy industrial quarter of Pittsburgh where Martin lives and works. There seems to be a chance that his severe disturbance may cure itself – it is clearly connected with feelings of sexual inadequacy, and his sexual initiation by a local bored housewife seems to be freeing him of his obsession, but when the housewife commits suicide (for reasons unconnected with Martin) his cousin assumes that she is another of Martin’s victims, and stakes the boy through the heart. The film attempts almost too much, an examination of the vampire stereotype, of popular superstition, of the problems of puberty, of the romanticising of evil, of the repressiveness of families, all in a rather melodramatic context. But it lives up to its ambitions in long sequences, if not throughout the film, and there are many pleasures in both the visual treatment and the often witty script. In 1978, George again returned to zombieland with Dawn Of The Dead (1978). 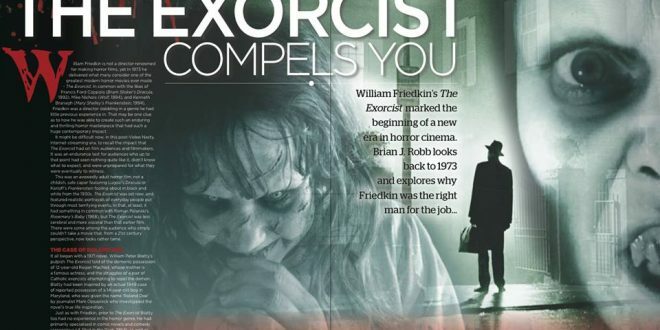 Shot on a budget of just US$500,000, the film earned over US$55 million worldwide and in 2003 was named one of the top cult films by Entertainment Weekly. 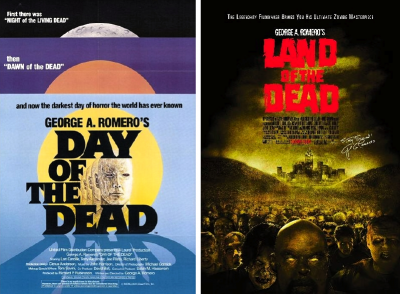 George made a third entry into his Dead franchise with Day Of The Dead (1985), which was less popular at the box-office, but has since gone on to gain a cult following thanks to video and DVD re-releases. Between these two films George shot Knightriders (1981), another festival favourite about a group of modern-day jousters who reenact tournaments on motorcycles, and the successful Creepshow (1982), written by Stephen King, an anthology of tongue-in-cheek tales modeled after fifties horror comics. 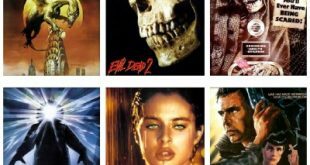 From the latter half of the eighties and into the nineties came Monkey Shines (1988), about a killer helper monkey, Two Evil Eyes (1990), an Edgar Allan Poe adaptation in collaboration with Dario Argento, the Stephen King adaptation The Dark Half (1993), and Bruiser (2000), about a man whose face becomes a blank mask. Since then George has been trapped in zombieland, directing Land Of The Dead (2005), Diary Of The Dead (2008) and most recently Survival Of The Dead (2009). 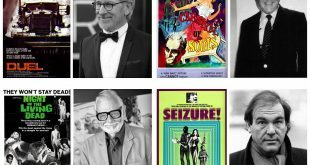 The verdict on George A. Romero must, in the words of old Scottish law, remains to be ‘Not Proven’. 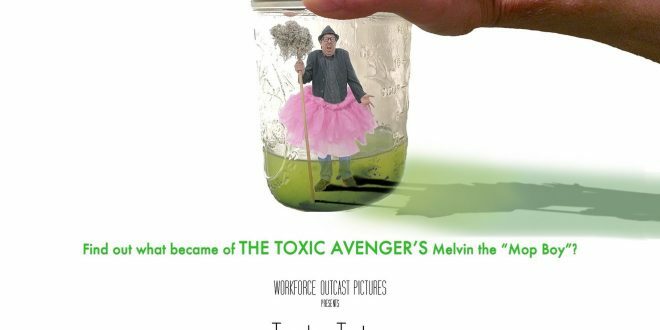 At his best an enormously vigorous original, he lapses rather too easily into self-indulgent fun, whose conscious bad taste makes him a kind of down-market blue-collar Pittsburgh Monty Python. And on that note, whether you like it or not, I’ll be back next week with another bargain-basement B-grader to thrill you, chill you, and fill you with swill with…Horror News! Toodles!